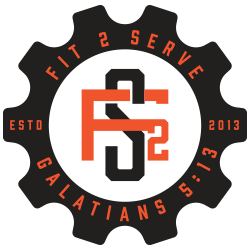 Fit 2 Serve Games is a 2-person team competition in which teams will be competing in four events at Lake Mead Christian School! Each team will have 4 events to participate in. Choose from: team relay, sled push, sand bag carry, wall ball, shuttle run, air squats, push ups, sit ups, burpees, box jumps and much more! Each participant will receive a T-shirt and private fundraising page to help train up our youth physically & spiritually to serve others! Top three teams will receive podium medals & prizes!